QR Codes seem to be everywhere these days, and each has a unique destination, and i-nigma is one of a free version to read the QR Codes. 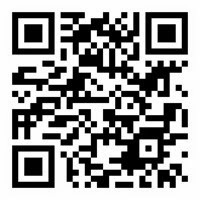 The i-nigma's innovative barcode reader application enables mobile users to access a predefined URL on the mobile web, or to trigger web services by scanning Data Matrix and QR barcodes displayed on various forms of media such as printed media, billboards, digital screens etc. Once scanned, barcodes direct phones to information and promotional offers hosted on the mobile web eliminating the need to enter long mobile web addresses or response details. The i-nigma's highly intuitive and simple 2D barcode-creation, campaign management and advanced monitoring and reporting tools improve advertising campaign performance, from planning through to execution and monitoring the success of a mobile campaign. This drives more relevant campaigns, providing deeper audience engagement and better ROI and Return on Marketing Objectives. Simple barcode creation allows advertisers and brand owners to start running ads immediately while advanced targeting options and real-time success metrics on barcode usage provide valuable insight on campaign progress. These tools and valuable reports allow marketers to fine-tune campaigns at any time during their lifecycles in order to maximize performance. 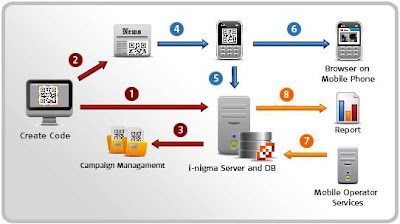 The i-nigma solution can be hosted either by 3GVision or by mobile service providers, who can generate significant revenues by offering unique advertising campaigns to publishers and advertising agencies. The solution is available in the form of preloaded clients, downloaded clients or both, branded or customized client applications, branded or customized server. Supports more than 300 GSM mobile phones, across all leading mobile operating systems and platforms: java, Symbian, S60/UIQ, Windows Mobile, iPhone, Brew. High performance reader that automatically recognizes and decodes numerous international 1D and 2D barcodes.